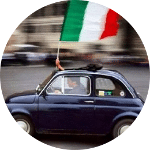 Newsletter #6: Italian Vocabulary, Literature and Cuisine, what else? We start our Newsletter #6 focusing the attention on vocabulary. 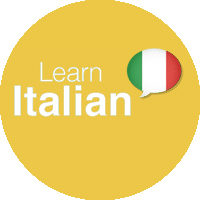 Do you know that many Italian words change meaning by simply changing gender? And do you know that in Italian all the fruits are feminine and all the the fruits trees are masculin? Now a book, Atti osceni in luogo privato. This book has been published on February 2015 and has been written by Marco Missiroli (born in Rimini in 1981). The main character is Libero Marsell a 12 years boy at the beginning of the book, that is son of a French father and of an Italian mother. The first part takes place in Paris, where he moved with his family the he was still young, the second in Milan where he is already a young man. For giving you an idea of who Libero is, here following I report what is written on the book cover: “Libero Marsell, Le Grand Libero, LiberoSpirito, is a total character, that grows with us, page after page, light as the youth in the Truffaut’s films, sensitive as the poets are, led by his masters of life in discovering the obscenities that made him free from the dependence of every set phrase, every required act, in the name of the wonder of the existence.” (*) . I am reading it these days and I am loving it a lot. Here you will find all the references of the book and a video interview with the author: Atti osceni in luogo privato di Marco Missiroli. Last but not least a short reference to Paolo Poli, stage actor, unfortunately disappeared a few weeks ago. In 2015 he took care of the audiobook of a famous Italian book called L’RTUSI. This book is actually a big Italian recipes book published in 1891 by Pellegrino Artusi. It is a fundamental recipes book for the history of Italian cuisine, not only because it gathers hundreds of regional recipes collected traveling along Italy, but also because it had the merit to favor through the Italian cuisine that process of national unification which in the late nineteenth century was only at the beginning. This book is written in a very good Italian (that’s why Paolo Poli decided to produce the audiobook of it – both of them are from Tuscany), has an unconventional style, and has had numerous translations into other languages during the decades. 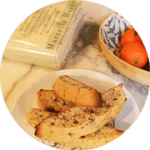 The official name of the book is “La scienza in cucina e l’arte di mangiar bene“, here you find the Italian edition, here the Paolo Poli’s audiobook, and here the english edition.